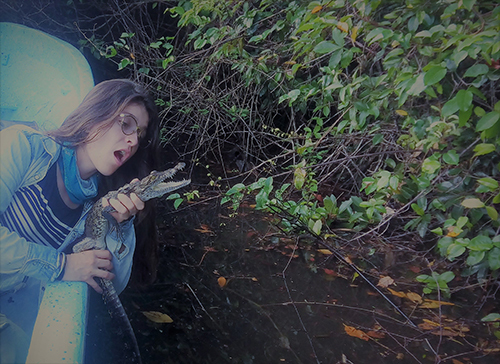 Project: 18/1 Behavioural response to juvenile distress calls as measure of parental care in crocodilians. 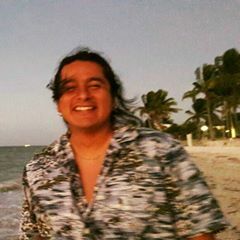 Project: 18/2 Population structure and genetics of Crocodylus moreletii in the Calakmul Eco-region, Campeche, Mexico. 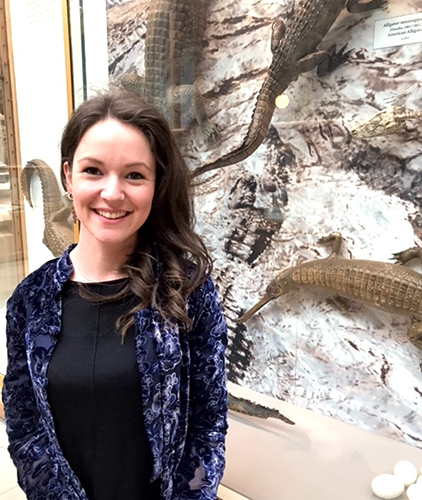 Project: 18/3 Using local ecological knowledge to assess the status and threats of the Critically Endangered Chinese alligator. 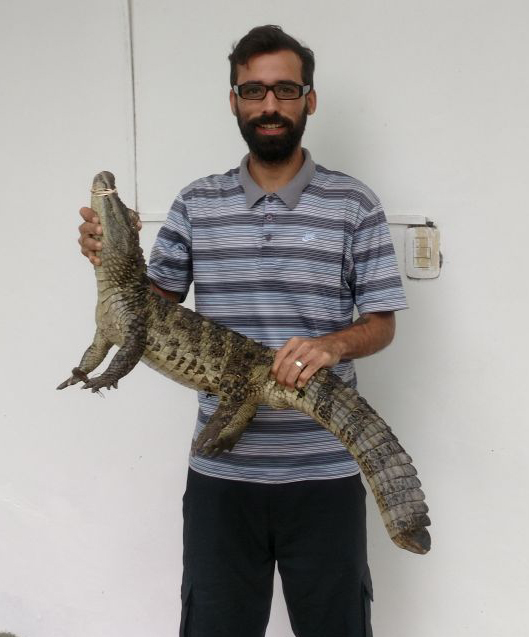 Project: 18/4 Molecular characterization of Caiman crocodilus fuscus in the Magdalena River (Prado and Purificación Municipalities) in Colombia. 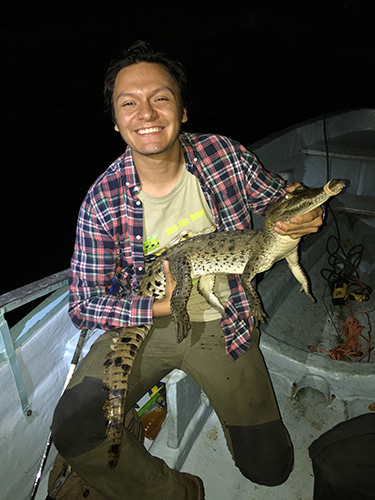 FHVS-SRAS Establishing crocodilian genital differentiation: New approaches investigating hatchling Alligator mississippiensis sexual dimorphisms. 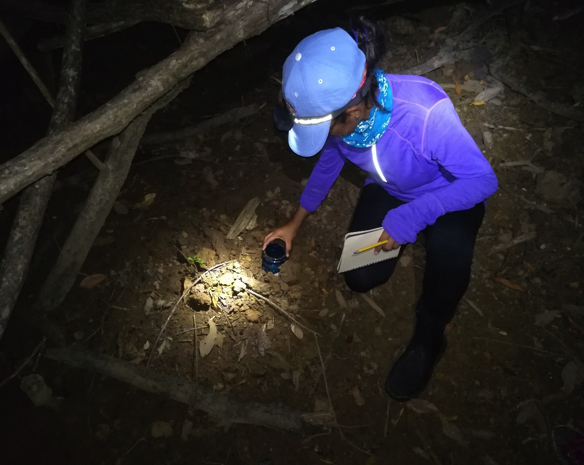 Project: 18/6 Population status and evaluation of nest temperatures of the American crocodile (Crocodylus acutus) in a central coast lagoon in Oaxaca, Mexico. 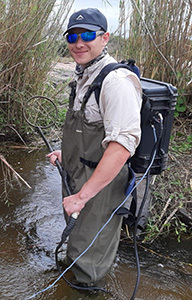 Project: 18/7 Stable isotopes of wild Nile crocodiles as a trace for pollution in the upper Olifants River, South Africa. 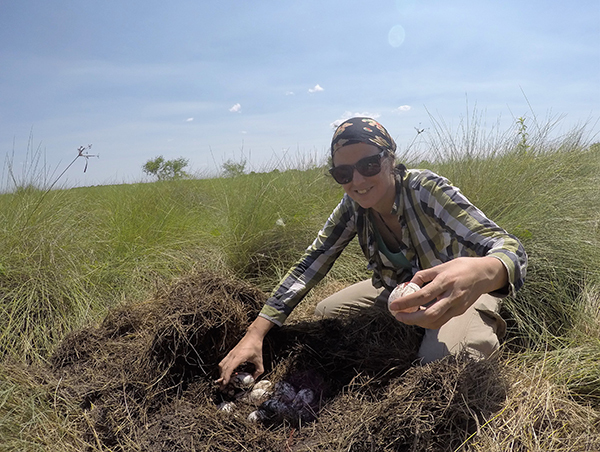 Project: 18/8 The bacterial and fungal bionomics of the Crocodylus niloticus egg in relation to the microstructure of the eggshell. 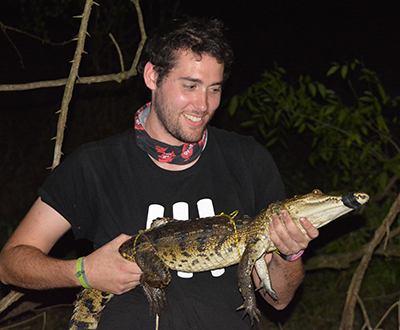 Project: 18/9 Species delimitation of the Caiman crocodilus complex (Crocodylia, Alligatoridae): Towards an integrative taxonomic approach. 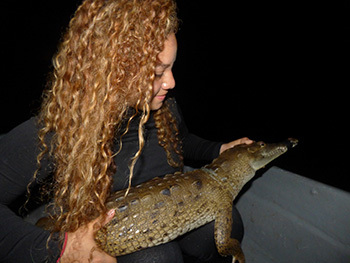 Project: 18/10 Population dynamics of Caiman latirostris: Development of a model for its conservation, incorporating possible scenarios of climate change and sustainable use. Analysis of antibiotic sensitivity profiles in Escherichia coli isolates obtained from the cloacas of American crocodiles (Crocodylus acutus) captured in tilapia ponds in Canas Guanacaste, Costa Rica. 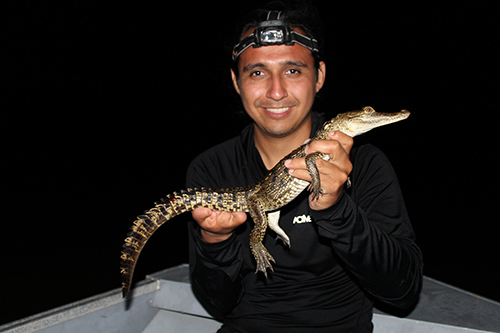 Project: 18/12 Population status of Morelet's crocodile (Crocodylus moreletii) in the Usumacinta River basin. 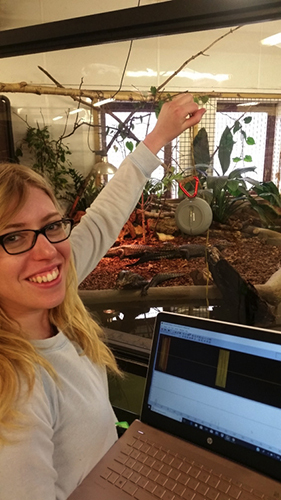 Project: 18/13 Acoustic characterization of the alarm calls of Morelet's crocodile (Crocodylus moreletii) in acoustically contrasting environments. 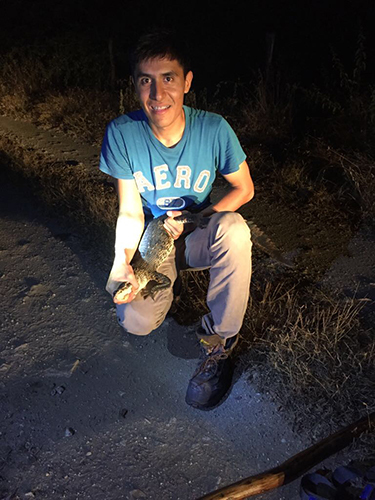 Project: 18/14 Population abundance of Crocodylus acutus and zoning of risk areas in Osumacinta, Chiapas, Mexico. 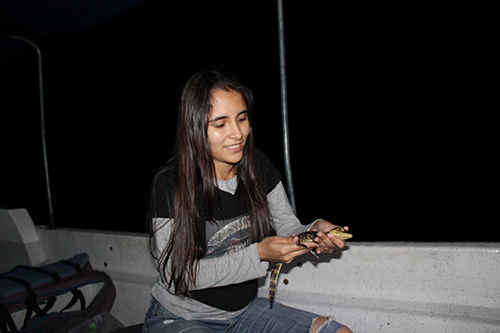 Project: 18/15 Population genetic ecology of Caiman latirostris and Caiman yacare: Variation and hybridization. 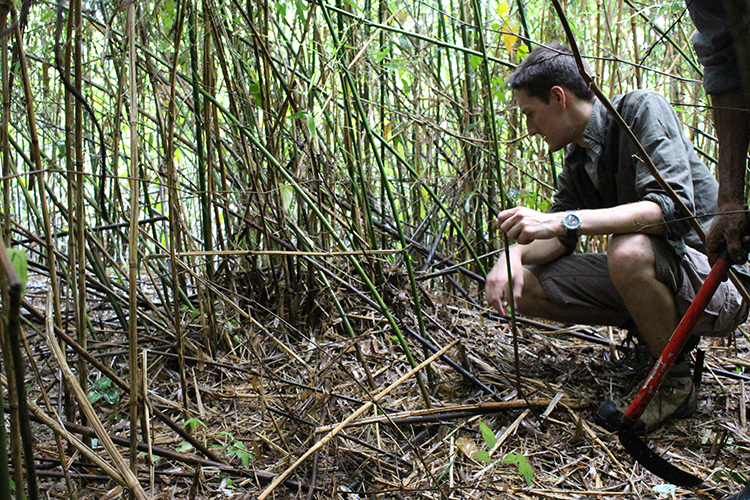 Project: 18/16 Building an evidence base for Gharial (Gavialis gangeticus) conservation in Nepal. 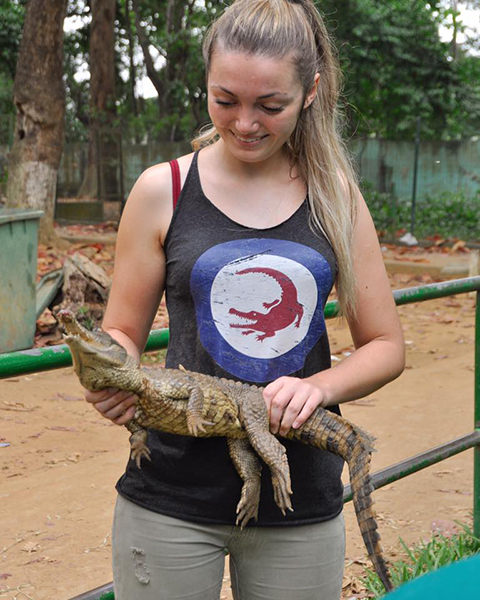 Project: 18/17 Use of soy (Glycine max) to supplement feeds of Caiman latirostris for commercial purposes. 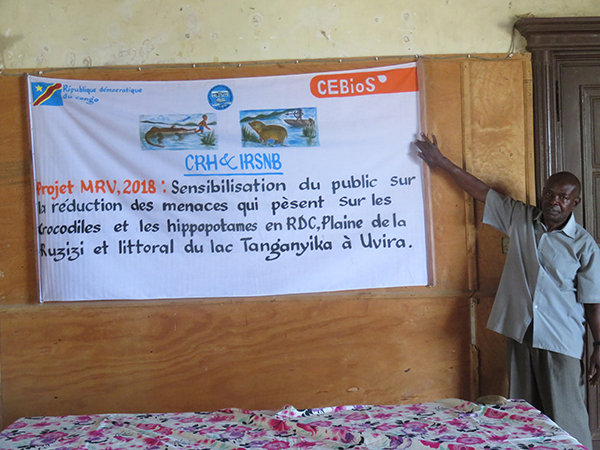 Project: 18/18 Ecology, conservation and management of birds and crocodiles of the Ruzizi Plains, Democratic Republic of Congo. 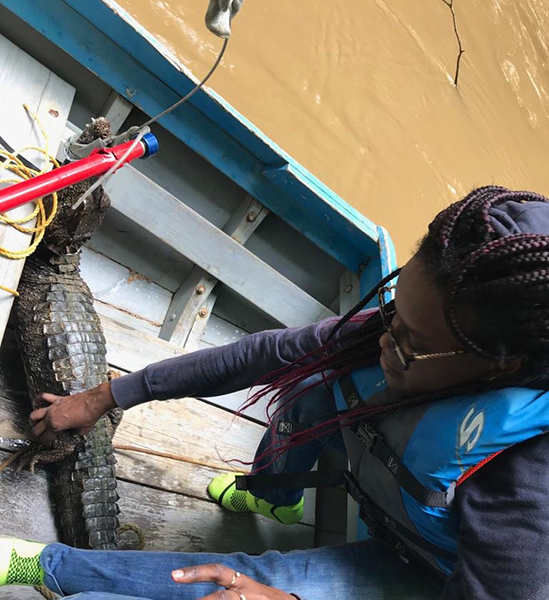 Project: 18/19 Developing adaptive conservation strategies for crocodile species under climate scenarios in Benin (West Africa). 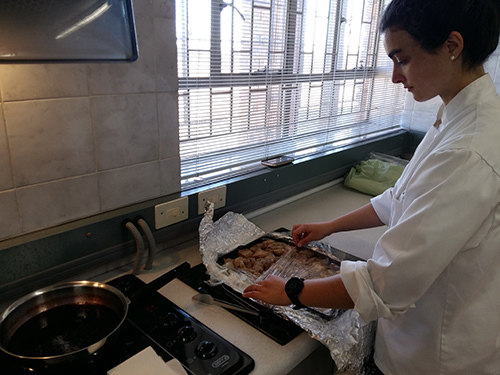 Project: 18/20 Consumer's acceptance of an innovative crocodile meat product as a sustainable protein source. Project: 18/21 Ecology and conservation of the Critically Endangered Philippine crocodile. 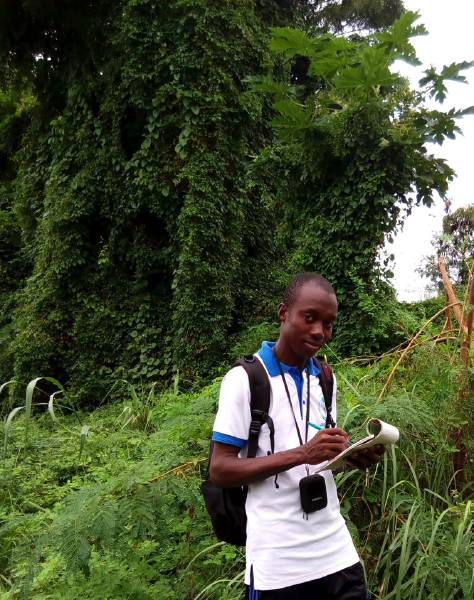 Project: 18/22 Detection and identification of Trypanosoma sp. in wild Crocodylus acutus and Caiman crocodilus at Monumento Natural Isla Barro Colorado, Lago Gatún, Republic of Panama. Project: 18/23 Electroencephalogram (EEG) assessment of brain activity after electrical stunning in the Nile crocodile (Crocodylus niloticus). 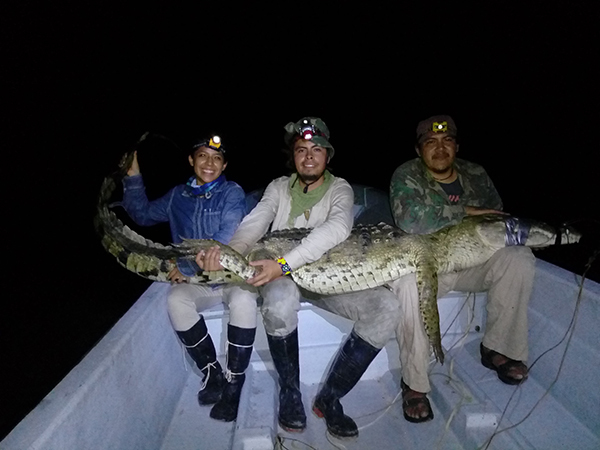 Project: 18/24 Assessment of the Appendix-II listing of Black Caiman (Melanosuchus niger) in Guyana. 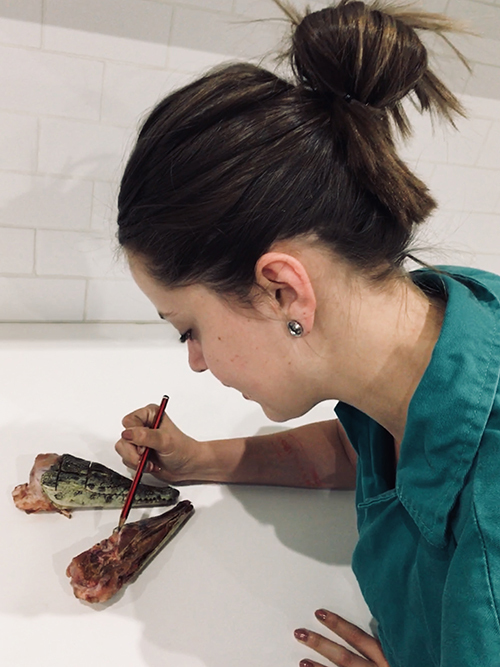 Project: 18/25 Evaluation of reproductive effort as a survival factor in Morelet's crocodile (Crocodylus moreletii). 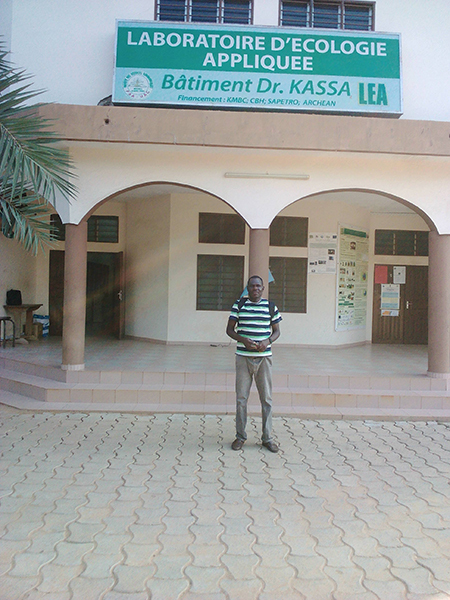 Project: 18/26 Distribution of crocodile species in the Transboundary Biosphere Reserve in the Mono Delta of Benin. 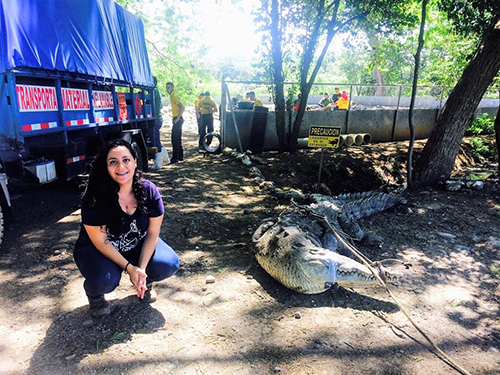 Project: 18/27 Trophic ecology of the American crocodile (Crocodylus acutus) in coastal marine environments at Coiba Island, Panama. Project: 18/28 Socio-ecological and institutional factors affecting the adoption and performance of Nile crocodile ranching in Kenya. 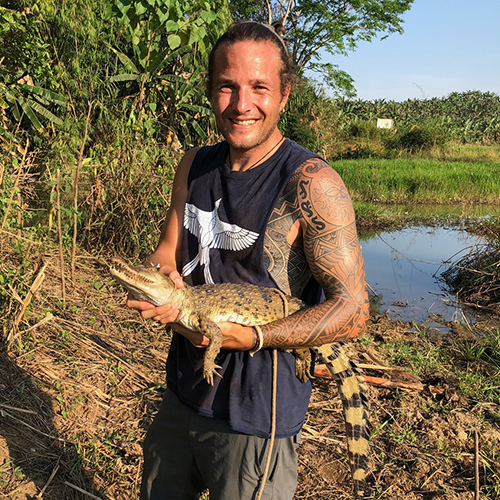 Project: 18/29 The effect of climate change, human population growth and land cover change on the distribution of crocodilians in West and Central Africa. Project: 18/-- The movement of calcium and phosphorus in the shell, shell membrane, yolk, albumen and embryo of the Nile crocodile (Crocodylus niloticus Laurenti) during incubation. 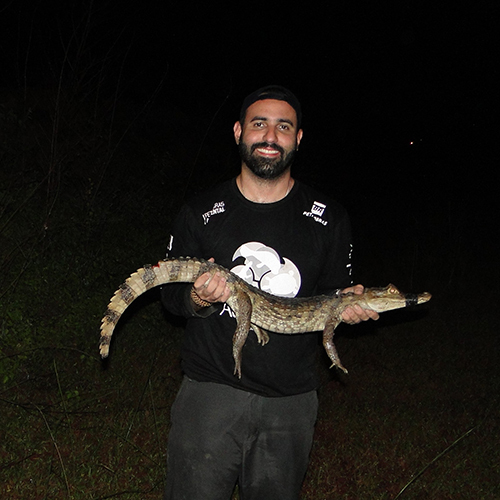 Project: 18/-- The effects of population density, social context and phylogeny on crocodylian vocalizations. 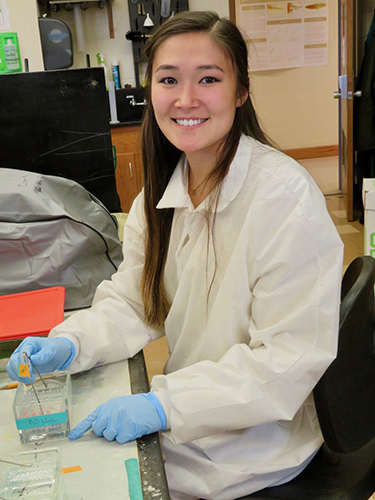 Project: 18/-- Evaluating the risk of feeding chicken carcasses to farmed Nile crocodiles - focusing on bacterial decay and residues. Project: 18/-- Nesting ecology of Gharial (Gavialis gangeticus) in Katarniaghat Wildlife Sanctuary, India.